Sandy is another long-time staff member at Giles Breast & Body Plastic Surgery. She has been working with Dr. Giles for over 10 years. Sandy loves seeing how absolutely happy patients are after their desired cosmetic surgery procedure. You get to be a part of the patient’s transformation…from years of having low self-esteem to being confident and feeling beautiful in their bodies! I like connecting with my patients from the first phone call, helping them take that first step. It’s very rewarding. I have grown to love and appreciate the girls I work with, we have so many different personalities and backgrounds and have all been working together for quite a long time. Dr. Giles is very professional, but he can also be very laid back. 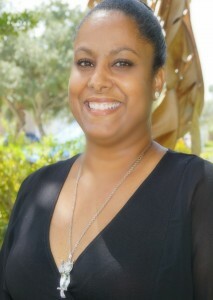 Sandy was born in Trinidad & Tobago and in her spare time she enjoys reading, zumba and spending time with her family. From your first visit, you will be welcomed at Giles Breast & Body Plastic Surgery by the warm smile of Sandy Hall.